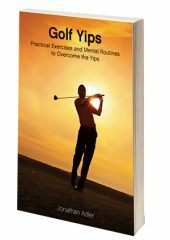 Over the last 15 years, I have helped more and more golfers to overcome the yips. You may be surprised to learn about the true cause of your putting yips. 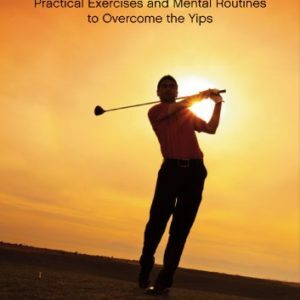 I often get calls from anxious golfers asking “What are the yips?”. It is not a mechanical issue. Although it is true to say that when you make your putt your technique does break down this is not the cause of the problem. Trying to fix your technique does not address the cause of the problem. It is like removing the leaves of a weed. It may temporarily seem to have cured the problem but unless you get to the root and pull it out, your problems will remain. No, what causes the putting yips is you. Your very own mind has become conditioned to respond in this way when you play your putt. Isn’t this why when you are feeling relaxed, perhaps practicing alone, your yip can be less severe? The way out of the problem lies in the same place. Inside You. You must strengthen and condition your mind to remain calm and concentrated when you play these shots. You also need to change your attitude toward them. If you work on these two things together, you will find out how to cure the putting yips. YOU WILL FACE DIFFICULTIES WHEN OVERCOMING THE YIPS. You will need to be very persistent. Please mark this paragraph and read it again before moving on and come back to it frequently. With practice, patience and persistence you are bound to be successful in overcoming putting yips. Developing your mental faculty will not happen overnight, so please, do not expect miracles. You need to be very patient with yourself and understand that your salvation lies within you. The very same mind that got you into this problem will try and undermine your efforts to resolve the problem at the first hurdle or at any difficulty that you face. I have had some direct experience of what causes the putting yips myself. When I first joined my golf club, in 2001, I began playing golf with a group who had been playing together for years. I joined in with them and at that time, although I had played golf, I wasn’t that aware of all the rules and etiquette that go along with playing in a monthly medal. I was unsure of myself. 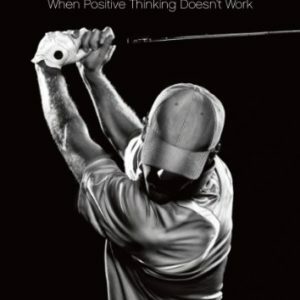 I had started my coaching business but at this time I was only just beginning to coach golfers and was still using the positive thinking approach that had been shown to me and that I had studied, which included Hypnosis and NLP. Also these guys were pretty good golfers. So when I first started playing with them I was nervous. Did I stand on your line? Is it my turn to putt? Sorry for being too slow. And so on. Throw in a few barbed comments from the group and I was left feeling a little out of my comfort zone, to say the least. Then one day I missed a three foot putt. Nothing that unusual there, my playing partners threw in a few sarcastic comments, and I prepared for the one coming back. This one was a two foot putt and I missed it, which was met with a stony silence from my playing partners. For the rest of the round I missed lots of short putts. After the round I could not wait to leave the golf club. I was embarrassed and had never before experienced that level of performance anxiety. I was shocked that it could happen to me. Did I just develop the yips? Having recently learned all about my mind and how it works (or so I was led to believe) I decided to be more positive on the greens the next time out. I would imagine my ball rolling in to the hole and believe that I could make it happen. So it was with renewed optimism that I played the next time and I fully expected to be fine. On the first hole, as golf often does, I was given just the test that I needed, I was left with a three foot putt. I put all doubt out of my mind and imagined the ball rolling into the hole. Then as I stood over the putt and pulled the putter back, the doubt came right back and I yipped it. It was a sharp twitch in my right hand at impact. It scared me. Oh no! Not again! After a long tortuous round of golf, I headed home. The putting yips stayed with me for the next few months until I decided to change tack. I found a belly putter and used this for some time. It eased my nerves for sure. I began to putt a little better and more importantly as time passed I felt more assured of myself amongst my golfing buddies. I stuck with the belly putter for a few months and then I decided it was time to let go, literally. Let go of my fear and accept that I could miss short putts or that I could make them. I had seen lots of my playing partners miss short putts since I had developed the yips and I realised that it’s just one of those things, part and parcel of golf. It was around this time that I had begun to use mindfulness principles in my golf and the improvement in performance was noticeable. In fact it was remarkable. I wondered if these principles could help my putting and I found out that they could. These principles were far removed from the previous ideas I had learned, relating to positive thinking. By developing the right attitude and also developing my ability to focus my mind, I was able to cure my putting yips. I lost my fear of missing and I lost my craving for the ball to go in. I became equanimous when I putted. My intention was still for the ball to go in the hole, but there was no longer that mental interference and I found that my body could respond much better without it. I went back to my short putter and now I consider myself to be a good putter. This whole process of recovery took some time. Now, using my short putter, I still miss short putts with a nervy pull or pushed stroke from time to time, perhaps when there is a little something riding on it (I make my share too!) The difference is I understand why it happened. I am aware that I allowed myself to become more focused on the outcome of my putt rather than the process of concentrating my mind properly. I no longer worry that the yips have come back. I just go back to the principles and techniques that I have developed specifically for the putting yips and I am fine. Now I accept the odd bad putt, as you will have to. It is a reminder to me to let go again. Let go of my fear, my desires, of the outcome, of what people will think about me and so on. Are you ready to let go and to learn how to cure the yips? Have some one to one coaching sessions with me, watch the Overcome the Putting Yips Videos and read my Overcome The Yips eBook. In these sessions and products you will learn different putting yip drills to develop your mental strength and change your outlook on putting forever. I’m sure you must have seen Ernie Els Yips and remember him taking six putts from inside three feet on his very first hole at The Masters. It was really hard to watch. As a coach who helps people cure the putting yips here is my take and a closer look at Ernie Els Yips. Ernie Els has been struggling with the Putting Yips for some time. Occasionally they leave him alone and he putts ok. Ernie was hoping that he would be ok at The Masters. The last thing a Yipper would want is for the whole golfing world to notice his problem at such a prestigious event. So anxiety started to develop in Ernie Els. “Please don’t let me Yip” was perhaps the prevailing thought. With this thought he lost his equanimity, he lost the balance of his mind. The fear was getting stronger as The Masters drew closer. He was a ticking time bomb. Does this strike a chord with you and your putting yips? As we all know, golf has a funny way of giving you exactly what you don’t want and Ernie had a three footer at the first hole. He tried so hard to make the putt, too hard in fact and his putting yips started from there. You could see he had lost his mind as he yipped the ball back and forth five more times. After that he putted ok, he still missed a few but the pressure had been released. He regained some balance in his mind. The answer for Ernie did not lie in conventional thinking. Thinking too much is the problem. Neither did it lie in technique. He has had to develop a different attitude and recondition his mind to overcome the Yips. I explain it all in my Overcoming The Putting Yips book and accompanying Video Series. There are different putting yip drills which will help you to develop your mental strength and change your attitude toward your problem. If you are really serious then come and spend a day with me or book some telephone coaching sessions to go along with the video series, and I will coach you to Cure the Putting Yips. Kevin Na had such a bad case of the yips that he could not pull the trigger on his tee shots. He had the driving yips, something I have helped many people overcome. He got so used to overanalysing his shots that his mind became stuck. To cure his yips, Kevin Na changed his focus over his shots and that is what I will have you do with your putting yips, chipping yips or driving yips. He stopped thinking about mechanics and instead observed his balance, placing his mind in his body. This can be a really effective putting yip drill if done correctly. Na says he will always have the yips at maybe 5% but he is ok with that. This is a well balanced attitude to the problem. The first step for you to overcome your problem is to stop looking elsewhere for its cause. By now you have probably tried every mechanical swing fix and tip that is out there. It hasn’t worked has it? So instead of looking outside of yourself for the cure to your problem you must be prepared to look within yourself for the cure. If it was easy to get to the root of the problem you would have done so by now. The root of the problem lies below the surface of the mind which is why you can neither understand, nor fix the problem at the moment. You need to develop your mental faculty in order for you to become more aware of how you are unbalancing your mind when you putt. 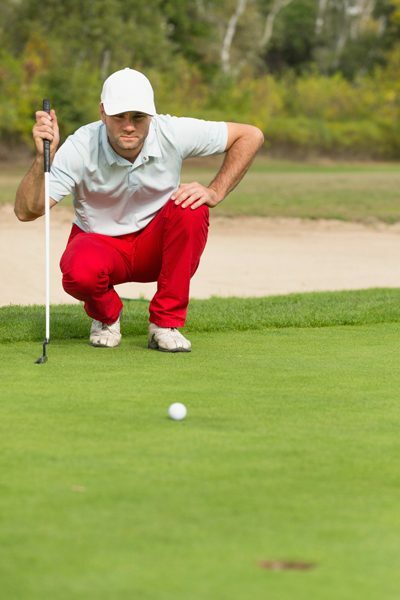 More awareness is necessary for you to overcome your yips. Awareness of what happens when you face one of these shots which you don’t like. Awareness of what you focus on as you play the shot. Awareness of your attitude towards the putting yips. No more stories, no more ideas, no more delusion, just awareness of the truth. As well as developing your awareness you will need to develop your equanimity and let go of any fear and of any craving. You have to face your fear of the yip, head on, in order for you to overcome it. So, if you are ready and you have exhausted all other avenues and you are sure, 100% sure that you are ready to explore what’s going on inside you, then we can begin. Remember this very mind of yours that has got you into this trouble may well try and prevent you from going inside as it does not want to relinquish its control. You must stay committed to this process and understand the nature of your mind as it currently is, needs to change. Currently your mind is interested in looking good when playing golf and certainly not looking bad. It doesn’t like the feeling of missing a short putt. Even though this yip has happened to you countless times, and nothing of any real consequence has happened to you, the feelings of dread and embarrassment are still as strong as ever. That’s right, what are the real consequences of your yip? A little embarrassment? An extra few shots on your scorecard? Perhaps it cost you some money. Take some time to think for yourself the worst thing that has happened as a consequence of your yip. You may have lost a match or a tournament. Let’s get real here. Your yip is hardly the end of the world. You may have been talked about by your playing partners, or laughed at. Sure it is a little embarrassing but again, hardly the end of the world. I am not trying to be rude to you here; I am just trying to introduce some reality to your problem. There are some very difficult times that we must face in our lives; pain and suffering, death and so on. We are constantly shown images from around the world of other people’s misfortune and misery. Think for a moment of something that you have seen on the Television or perhaps what someone close to you is going through or has gone through. Now compare that with your yips. As soon as you are brave enough to face your fear, you have started to overcome it. Here is a little putting yips drill for you to try next time you are on the golf course. Instead of trying hard to cure your putting yips, simply observe them instead. Score out of 10 how strong your yip is as yuo putt. There are some rules you MUST follow. Have an open mind. You’ve tried everything else so clear your mind and do this. Stop trying to putt well. Stop trying to not yip. Your job is to watch the yip and score it’s strength. That’s it. So, you putt and before you look at the outcome you score how strong the yip was. Make a note of the score/ scores when you leave the green. Do this for three rounds and start paying full attention to your yips without trying to fix them. Then get in contact with me and tell me what you noticed. In order for you to beat the putting yips you must develop your mental ability. The cure does not lie anywhere else but inside your own mind. So start getting to know what is really going on in your mind. There are some rules to this drill. Close your eyes and pay attention to your breath. No need for any special type of breathing. Just focus on your breath. Every time your mind wanders off, notice it and bring it back to your breath. Don’t fidget or move. Keep still and watch your breath. After 10 minutes make some notes on what was really happening in your mind. Did it stay on your breath ? If not where did it go? How many thoughts came into your mind? This ability to pay attention to your thoughts as they rise and pass away is a part of the development necessary to overcome the putting yips. Do this for 10 minutes and then gradually increase to 30 minutes or more and see how this affects your putting yips. WARNING Many people will think about doing this exercise but never do it. Your mind does not want to be tamed and so it will make any excuse not to do it. It’s your mind so YOU decide and take control of it or you will continue to go around in circles looking for answers on the outside instead of where the problem lies. On the inside. Once you have done this for a while, get in touch to discuss the way forward.